There are only a few beauty lines out there which garners a cult like following that transcends all ages and Murad is one of them. In fact, long before I got serious about my skin (hello, teenage years) I've heard the hype about the brand with its scientific, results based approach to easy skincare. 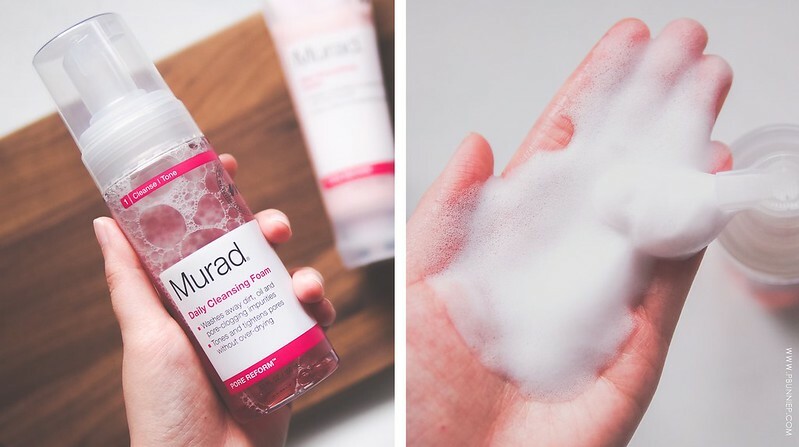 Over the last few weeks I've been trying out the Murad cleanse myself from foaming cleanser, to exfoliator and of course that very famous toner. Let's talk. The Daily Cleansing Foam is a softly scented, self foaming product that looks liquid in the bottle but come out as a medium density foaming wash. My gripe with most automatic systems of this design is that the bubbles are never as nice as when I lather up myself but this one was surprisingly wonderful. With two pumps in my palm, I give myself a soothing morning cleanse that lasts as long as I want to because they bubbles themselves don't fade away even when I'm massaging for a minute or two. Perfectly balanced, it leaves my combination skin refreshed but never dry and is a very likable option for delicate skin and it was my cleanser of choice when I had a little skin flare up with the super dry summer season (more on that later). Interestingly this does contain ingredients like lactic acid which is meant to be exfoliating but I haven't noticed any particular results there. As a regular basic cleanser though, I definitely plan on continuing this into the winter if it lasts that long. I find even with just 2 pumps per use I am going through this bottle rather quickly! Things to note: This isn't a makeup remover and does poorly on that front so only use it for a 2nd step cleansing or as a morning cleanser. This is not oil-free. With a soft moussey texture, the Skin Smoothing Polish uses very fine jojoba wax beads (no plastic in here) to deliver a thorough scrub. Now I've always said I prefer grittier products and while those are still my first choice, this jojoba based product is one of the better ones I've used in the category of gentle exfoliators. The beads themselves are small and rounded which means no micro-cuts (for those who are weary) plus there's plenty of them in here to offer a satisfying experience without needing to use a ton of product just to find a few scrubbing particles. Again this has a soft rose like fragrance that lingers slightly on the skin but isn't too cloying or overwhelming in the least. I recommend extending your normal scrub time by a minute or two as the beads are very small and to use less water to make sure the product really sticks to your skin. Now while Murad markets this to "help relieve congested pores", I felt this functions more as a surface level exfoliator and my pores needed something extra. Things to note: This product is not oil free. Quite expensive for a basic exfoliator. 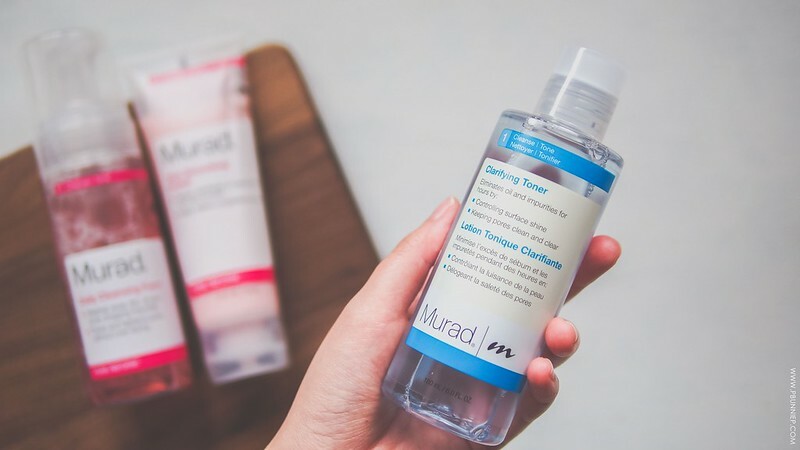 My favourite product in my Murad routine and the one that has given me the most visible results in the overall quality of my skin has been this cult favourite Clarifying Toner. For those just joining me in my skincare journey, my favourite pore-decloging toner has been the Clinique Clarifying Lotion with whom I've had a tremulous relationship for years. I find my pores clog easily and during those uninvited breakout experiences, an astringent type of toner applied sparingly helped to heal my blemishes faster and take down redness. Yet I was never a fan of the harsh scent and alcohol heavy formulation. Luckily, this Murad toner does everything my Clinique did without the alcohol plus it leaves me with a gentle (non-drying) matte finish which has been great for summer makeup. While this type of product is still not something I would use on an everyday basis in all seasons, it's completely replacing my previous options for a breakout reducing toner when I need a little extra help. Used diligently, it does reduce the appearance of visible pores as well. Things to note: While the alcohol is gone, why is the menthol necessary? As far as I can see, there's no actual skin benefit to its use other than a censorial cooling effect which temporarily makes you feel like something is happening. Realistically, I'd like to see it gone. This product is not oil free. Find all Murad products at Sephora in stores and online. Products can also be ordered directly from their website and are also available in select spas and salons. After a triple product trial, I think my first Murad experience went better than expected. As someone who tends to be weary of cult favourites (there's a lot of hyped up products that do nothing for me), the brand has proven itself to be a solid contender with well balanced formulations that are simple to use yet gentle on the skin. 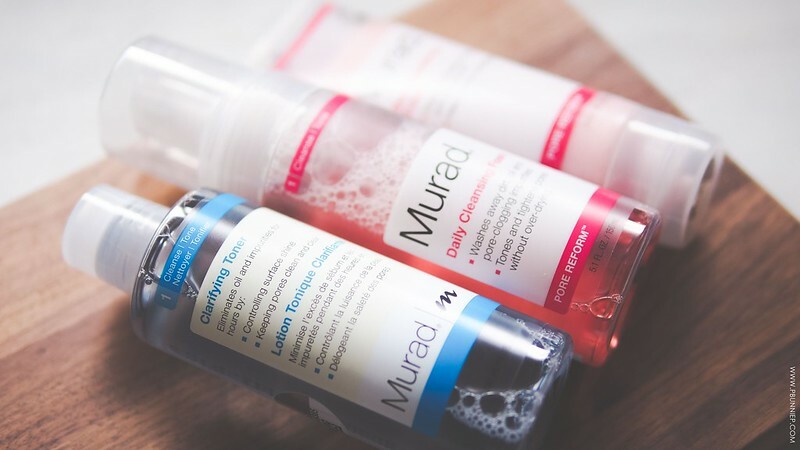 Murad prides itself on a truly scientific approach to skincare and while there's enough variety for everyone, there isn't too much to make you feel completely overwhelmed. 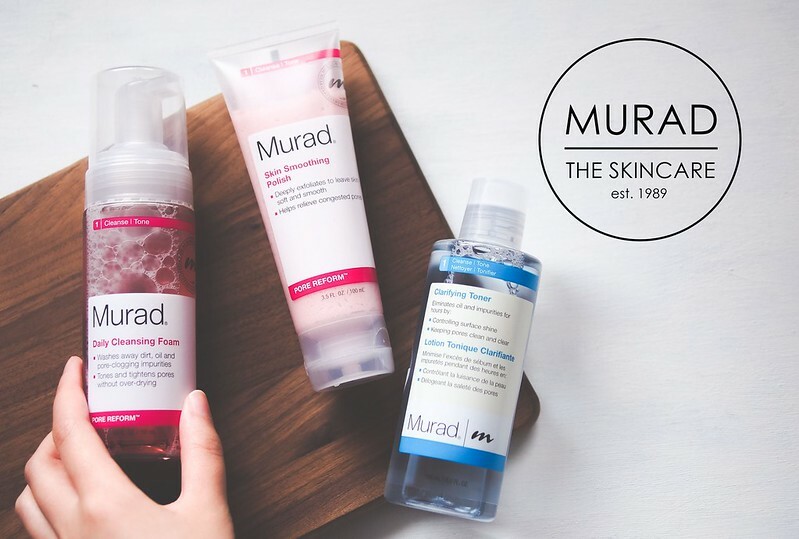 I think it's fair to mention that the Murad brand has received quite a bit of critique from the Cosmetic Cop (Paula Begoun) and I'll leave the link to that series here but from a results based perspective, I found all three products to work well and the Clarifying Toner to be particularly excellent. 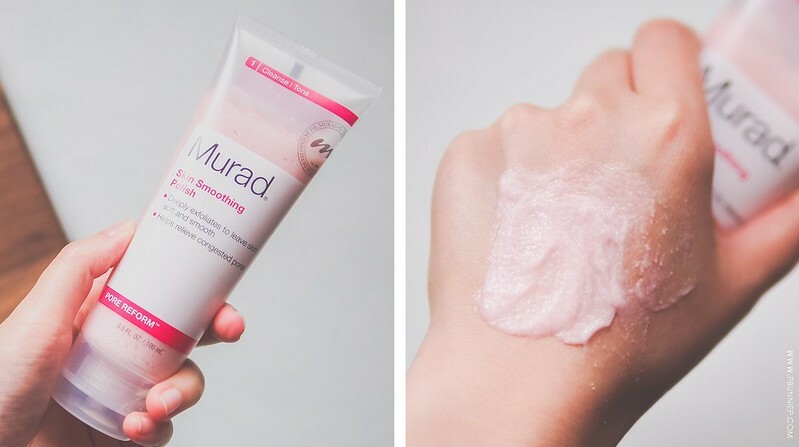 There is a unifying aesthetic appeal to Murad products and while a few frivolous ingredients do slip into the mix I think it's still a worthwhile brand to test out at some point. Start off with a basic product to see if it incorporates well into your per-existing routine before delving into their higher end treatment range which can be quite pricey. Overall, none of these three products are going to be life changing but I'm very happy to have found a new favourite breakout toner.